While working for a project, some of the PST files get corrupted and became inaccessible. I tried several data recovery software and methods to gain access to these files, but all the implemented procedures turned into failure. This might have occurred due to the password restrictions that I have endorsed on these files. At very first, I tried ScanPST.exe but it does not help much as the files were severely corrupted. Afterward, some of the commercial tools have also been employed, but they all failed to recover data as they were not capable of handling password protected files. 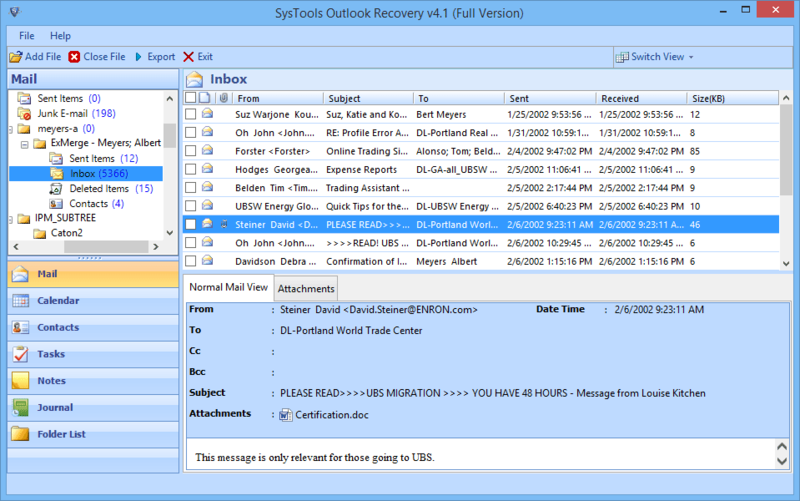 At last, I tried Outlook Recovery software and it helped me getting access to the lost data. The tool recovered all data components existing in healthy mode. It also enabled me to recover deleted data and restored it into its original format at respective folders. Some of the attributes of the tool are summed up here in. Recovers healthy data from corrupted PST files. 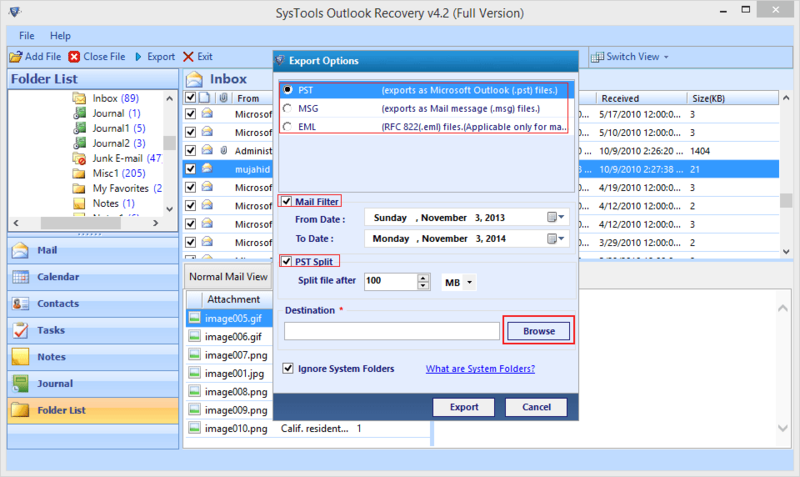 Recovers deleted data from Outlook data files. Extracts and restore data from password protected files. Restores recovered data into PST, EML and MSG formats. Quick Scan: Recommended for low-level corruption. Advance Scan: Recommended for higher level corruption. This way, it offers to save time and efforts as well as with minimal corruption, it is not required to execute thorough scan. Next step involves a display of data within the tool panel. After implementing scans, the recovered data gets enlisted in the panel. This gives the preview of what data can be restored as well as which file is missing. It offers to restore selective files that are essential and provides the benefit of eliminating unnecessary items. PST: This file format can be used to save data into its original structure. Moreover, if overall data is required to be recovered, this can be considered as the suitable option. MSG: For restoring email messages, this file format can be selected. It saves single email per file and it further helps to save data in an organized way. It can be imported into latest versions of Outlook application. EML: Accepted over wide variety of web- based and desktop- based email apps. Also, this format is supported over all major Operating Systems over smartphones, tablets, and PCs. PST Storage Benefit: While restoring data into PST file format, the tool offers to split large volume PST into partitions. Starting from 1GB, the volume for the PST files can be selected as per requirement. This reduces the possibilities of Outlook data file corruption to larger extent. If a single file gets corrupted or deleted accidently, only limited data would be lost. This will not put major effects on the overall information. Storage to MSG\ EML: While restoring data to EML and MSG, it offered me to save the recovered files with appropriate names. Files can be saved with the subject; date or recipient particulars. Saving email messages with suitable names makes it easier to search for a particular message. This way, the data is stored in the more manageable manner on the storage medium. Moreover, it prevents performing the random search while finding for a file. ‘Mail Filter’ can be applied while restoring email data into either of PST, MSG and EML options. This offers saving selected period data and allows dumping unnecessary email items. The selective duration data can be exported to the selected file formats by providing ‘From Date’ and ‘To Date’ particulars. Once all the restoration options have been selected, the tool offers to save the recovered file at any location on storage disk. The recovered file gets saved at user-selected path on the machine. The tool creates new files for saving recovered data and the original files remain unaltered. No editing or modifications are made to the actual PST files. 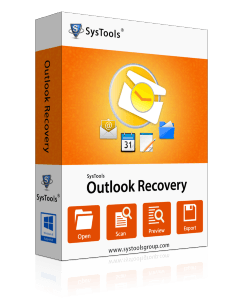 The recovery procedure is executed in few steps by the Outlook Recovery tool. The data from password protected PST files has been recovered and restored into PST (the selected format). The resultant PST files are obtained in UNICODE format and supported in Outlook 2003 and later versions. As per my analysis, the recently deleted data is also extracted and restored at provided location. The email messages that have been restored in EML are accessible in Apple Mail over Mac and iOS. This enabled me to import the recovered file on my iPhone. Moreover, the resultant files are obtained with maintained integrity and data was found to be recovered along with incorporated attributes. As a whole, my verdict with the tool was quite impressive as it does all the expected tasks. Since, I used the personal license of the recovery software; the analysis is based on this version only. For analyzing the performance of Business and Enterprise licenses, the trial version of the PST Recovery product can be utilized before making any investments. In addition, the availability of storage features such as ‘Split PST’ and ‘Naming Conventions’ reduces the chances of data corruption. As both ways, the data is stored into limited volume files; the corruption into one file would not affect the corresponding data. Therefore, the tool not only recovers corrupted PST files but also prevents data from future damage. Considering all the facts, features and performance of the tool, I would rate it 9.5 on the scale of 10 (maximum).